Hear ye, hear ye! Behold the Transition Scout Carbon GX evo Complete Mountain Bike, a unique bike build brought to you by evo using the finest Transition frameset, SRAM GX Eagle™ components and RockShox suspension. A universally recognized jack of all-trades, the Scout Carbon's rigid and lightweight carbon frame carries a cutting edge 1x12 GX Eagle™ drivetrain and smooth, highly adjustable RockShox suspension with a 10mm longer-than-standard-travel Pike RCT3. The result? 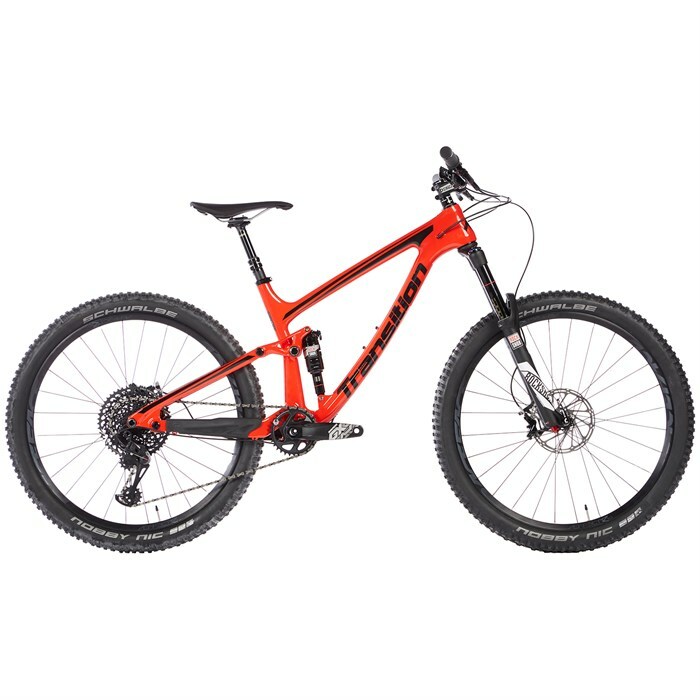 A high end trail bike built to meet the wide-ranging styles of modern riders. For a true all-round genre-bending ride that you won't find anywhere else, look to the Transition Scout Carbon GX evo Complete Mountain Bike, available exclusively from evo.